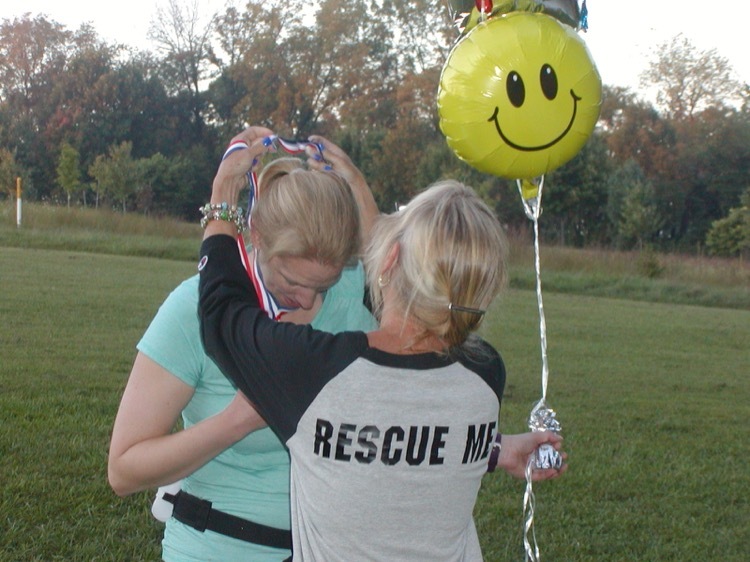 Trails 4 Tails 40-Mile Run and Relay held its 10th annual run this year. 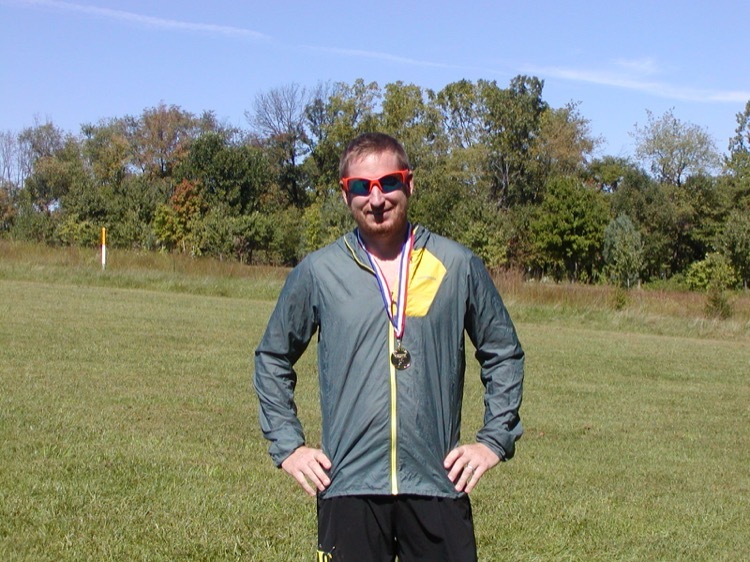 We have had slow growth over the years with many returning runners and new friends coming to the event. A month before the race we had more runners pre-registered than ever. In the final week, we knew this was going to be our biggest year. And it did not disappoint. This year saw our largest number of runners, most dogs in attendance, most money raised for donation to Animal Rescue, and some interesting stories along the way. The Hound’s Hounds relay team came with the purpose of breaking the event record. They ran the first eight-mile loop in 59 minutes and slowed very little after that. At 5:03 on the race clock, they crossed the finish line to meet their goal and take the relay win. Neal Barnaba from nearby Jefferson, Pennsylvania, went out in the lead and stayed there all day to be first individual to the finish in 6:41. Not far behind, first woman and second overall, was Meagan Capuano in 6:56. A total of 23 runners completed the 40 miles on what turned into a hot day. Over 100 runners took to the course as individuals or relay team members. With the help of all the participants we raised over $5,000 for Animal Rescue, our largest donation to date. I really don’t have a count, but I know we saw more dogs in attendance than in past years. With the hot day, they were running short distances or cooling off in the shade with their families. A 10th anniversary does cause one to reflect. A few folks who have been with us from the beginning are no old friends back again to reminisce. New runners bring their tales (or tails). It was a long day, but went quickly with the mix of runners coming through the finish chute. We had a large contingent of local runners. They all have their stories to tell, and I do want to tell one. I have always felt for the runners who persevere and do what it takes to finish. 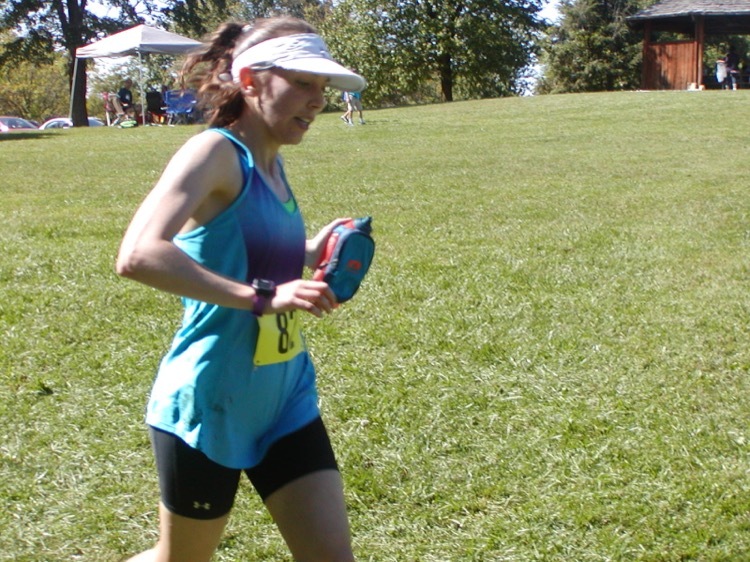 Beth Fox planned to make this her longest run to date and finish the 40 miles. We know the park locks the gates at sunset and we really like to be on the outside of the gate when that happens. Beth was on track to finish just before sunset. With less than 10 minutes until the sun went down at the west end of the lake, Beth crossed the finish line. It was a long but rewarding day for all. Together we can accomplish many things.